Our aim is to give our students new and exciting opportunities which will enable them to build upon their existing skills and knowledge, as well as broaden their horizons. From our extended school programme, to inspiring speakers such as former US President Barack Obama and former Prime Minister David Cameron, we help prepare each child for university and to be leaders in their community. We know how important lessons are, but what is also crucial to your success is having a range of enrichment experiences that will allow you to develop skills and passion in a variety of ways. This year we have decided to make some promises to you. We have Pledged that we will provide you things that we think that every student should have the chance to do. As a student of Globe Academy you are offered a range of fantastic opportunities to extend your learning beyond the classroom. These include trips and visits, lunchtime and after school clubs and projects that take place in and outside of school. This document therefore sets out a twelve-part pledge that Globe Academy makes to you. You will be encouraged to make the most of these opportunities and reflect on them so that by the time that you leave Globe you have the experiences to help you conquer every environment. 1) I will have experienced democracy through electing student council members and engaging in mock national elections. 2) I will have written and delivered a speech and/or spoken publicly. 3) I will have taken part in a public event –i.e. sports, dance, visual arts, politics or a concert and represented the academy in a team or as an individual. 4) I will have taken part in a play, musical or reading that involves either acting, speaking or helping with the production. 5) I will have been on an educational visit and/or an overnight stay outside of London. 6) I have a clear understanding of finance and have set up a bank account for life after school. 7) I will have engaged in structured debate with the confidence to articulate my points clearly. 8) I will have planned, delivered and evaluated a project of my passion or subject of my choice. 9) I will have experienced cutting-edge science and technology. 10) I will have visited a place of Higher Education. 11) I will have experienced a range of different career paths within the professional world of work. 12) I will have visited a Museum and/or Gallery. Our extensive extended school programme includes extra-curricular classes, trips and visits and special events and we have a very wide range of after school sports and performing arts activities. We provide residential and personal development experiences and opportunities for students to take part in schemes such as the Duke of Edinburgh Award and to participate in their local community. The Academy Council runs a hugely successful international event that reflects the school’s diversity. We offer homework clubs, catch up classes, Saturday and Easter GCSE booster classes and Year 11 students attend maths and English revision weekends before their GCSEs. After school clubs include poetry club, programming club, book clubs, art club, choir, debating and many more. For those interested in getting involved in more physical activities, the extended school programme offers students the chance to participate in a range of different sports, such as football, basketball, netball, table tennis, trampolining and many more. Our students have access to fantastic facilities including our new state-of-the-art 3G pitch. Of course, these sessions don’t just run after school. The extended school programme also caters for students who are also looking to do something a little different in their lunch hours, and we offer a wide range of clubs at this time for students interested in cinema and film, sport or music. These sessions are extremely popular, are all-welcoming and provide access for a wide range of students with different levels of ability. There really is something for everyone. Each year Ark Globe Academy hosts 3 full days of enrichment where students are given opportunities to develop skills outside of a classroom setting. 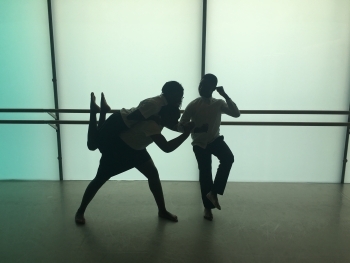 These experiences range from educational trips and experiences, challenges, workshops, seminars, performances as well as working with professionals and the community day. At Globe we know that education doesn’t just end with grades and exam results, but with a wealth of experiences and cultural capital that can help to shape the futures of our young people. In 2014 we launched an elite player development centre in partnership with Fulham Football Club. 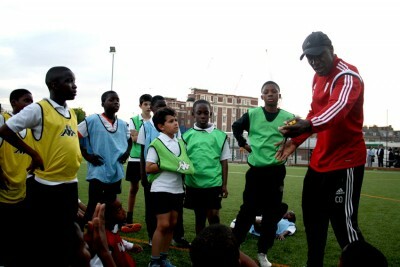 The centre holds training sessions for male players from primary age to young teenagers from across Southwark and aims to nurture and develop players with outstanding potential to be future Fulham Football Club First Team regulars. The partnership includes regular specialist coaching for Ark Globe Academy students and educational visits to the football club. 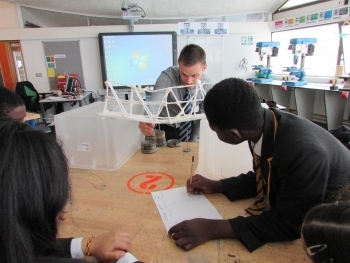 As part of the Ark Schools network our students compete in the Ark Schools and Jack Petchey debating competitions, annual Ark Music Gala at the Barbican Centre, the Ark Schools Shakespeare Schools Festival, the Ark Schools Sports Day, the Ark Schools Spelling Bee and also many Southwark schools events. Each year we hold an annual celebration of the work our students have done. "The Ark Schools Music Gala" is held at the Barbican, a world-famous venue that gives our children a moment in the spotlight. In 2017, more than 600 students from 24 schools participated. Here are some of the highlights. The extended school team also works closely with the local community. We are developing links with Universities and both local and international businesses in order to further develop the portfolio of activities we are able to offer to students and the opportunities they have access to. Our students meet inspiring speakers from the worlds of business, sports, arts and politics – including the former Prime Minister and former US President Barack Obama. We aim to provide opportunities for students to develop existing skills but also to try out new things, and open their eyes to new experiences, from work experience to workshops with inspiring initiatives such as the Strive Challenge. We do our best to cater for everyone, but we are always open to suggestions and looking out for new and exciting projects of which the students and staff of Globe Academy can be a part. If you or your business can help inspire and develop our young people please get in touch with Jo Watts, Vice Pricipal, Business and Community.